NBCNews.com added a convenient toggle switch for users to more easily check out the network’s new website design — which has been updated from its original look when a beta version appeared in March 2018. Users now have the option to flip a switch to try out the NBC News Beta, as the network is billing it — but can also turn it off if they aren’t digging the new look. 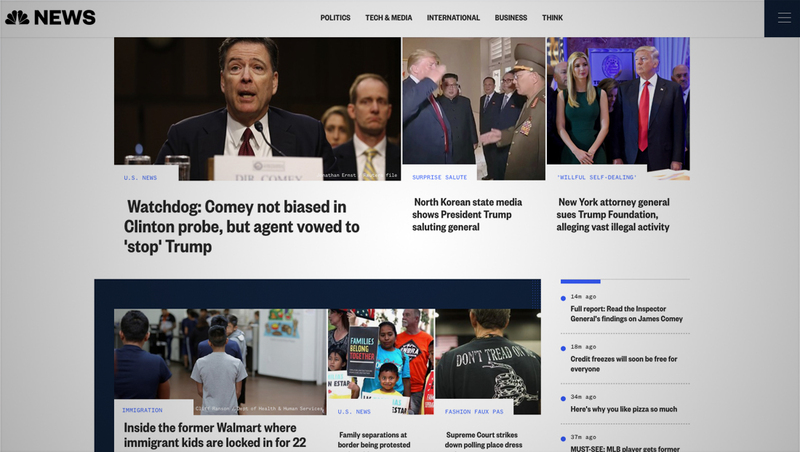 The design of the site has been tweaked since it first debuted in March, at least during a NewscastStudio review of the homepage, to include smaller images and a more horizontal layout of top stories running along the top — perhaps inspired by “story” style features found in many social media apps. A larger section below this uses a dark blue block to surround a pane of thumbnail and headline tiles. You can see the new layout by clicking here.